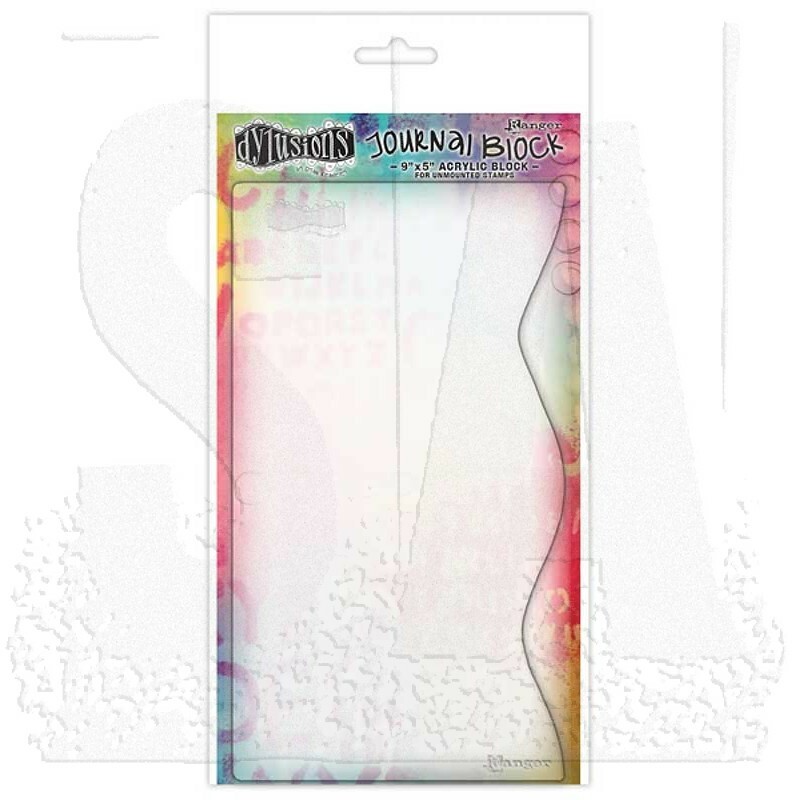 Dylusions clean acrylic Journal Block is a large unmounted clear stamp block designed by Dyan Reaveley. The perfect companion to use with Dylusions clear and rubber unmounted stamps. 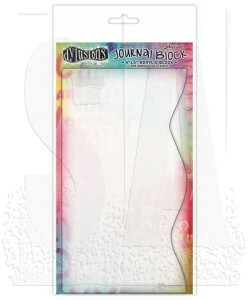 One edge features a ruler, another a wavy edge for creative journaling.